Even as Uruguay considers a groundbreaking proposal from President Jose Mujica to legalize state-regulated marijuana cultivation and sales, parliamentarians from most of the leading political factions in the country are calling on the government to go even further and legalize all drugs in a bid to blunt the power of and threat from illicit drug traffickers. The comments came in interviews solicited by and published in the Uruguayan news weekly Busqueda and appeared in its November 22 issue. The war on drugs has been "a resounding failure" because it has "fortified crime," said Independent Party Deputy Ivan Posada. Forty years of drug war has created a reality where there exist "true international enterprises dedicated to the traffic in drugs," which can only be effectively combated by "establishing the legalization of the traffic of all drugs," he said. 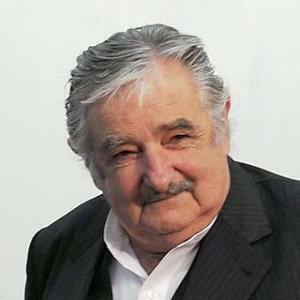 The legalization of marijuana sales and cultivation (use and possession are already legal in Uruguay) proposed by Mujica and his Broad Front (Frente Amplio) government is "doomed to failure" because it is only a half-measure and not a global strategy, Posada sniped. The war on drugs approach "will fall sooner or later in this century," said Deputy Jose Bayardi of the Artigist Tendency (Vertiente Artiguista), a social democratic current within the Broad Front. "The only solution there is to defeat the drug trade is the legalization of all psychoactive drugs," he said. "There will come a moment in which all the drugs that are today illegal -- heroin, cocaine, etc. -- will be administered in the same manner, with an informative pamphlet," said Bayardi, a former defense minister. "Then, the individual will take the responsibility for doing with them what he wishes. We are going down this path. Sooner rather than later, we will arrive, and then we will really be fighting the drug trade," he said. The steps the government is taking to legalize and regulate marijuana sales and cultivation "are a beginning, a point of departure" on a path where "the state will regulate all drugs," said Broad Front Deputy Sebatian Sabini, who chairs the Commission on Addiction in the Uruguayan House of Representatives. "As a society, we aren't ready to discuss it, but in the long run we have to do it, also for public health reasons. We can carry the same analysis of the drug trade that leads us to legalize marijuana on to [cocaine] base, to cocaine," he said. National Alliance Deputy Pablo Itturralde said what was needed first was a an educational campaign illuminating the dangers caused by drug abuse. "After that, if someone wants, he can consume what he will," he said. The leader of the House of Representatives, Deputy Jorge Orrico, also said that the way to fight the drug trade is to "legalize all drugs," although he caviled about paste base because of its negative effects. "Of all the other substances, I have no doubt because the business works in clandestinity. At the least, we can diminish the mafia," he said. While the talk of legalization of all drugs cuts across the political spectrum in Uruguay, at this point it is only the legalization and regulation of marijuana commerce that is on the legislative agenda. 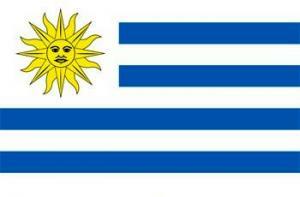 But it sure looks like many Uruguayans are interested in looking further. In the wake of this month's marijuana legalization victories in Colorado and Washington, legislators in New England are ramping up efforts to be the next state to legalize. Solons in Massachusetts, Maine, Rhode Island, and Vermont have all signaled they will be filing legalization bills next year. ''Last week, Washington and Colorado replaced their states' prohibitions on marijuana with a system of regulation and taxation,'' said Robert Capecchi, a legislative analyst with the Marijuana Policy Project, which organized a press conference with legislators last week. At the press conference, Rhode Island state Rep. Edith Ajello (D-Providence), who introduced legalization bills in 2010 and 2011, said she would do so again. ''Our prohibition has failed,'' she said. "I think legalizing and taxing it, just as we did to alcohol, is the way to do it." Maine state Rep. Diane Russell (D-Portland) said she, too, will reintroduce a marijuana legalization bill, LD 1453, in her state. "The people are far ahead of the politicians on this," Russell said. "Just in the past few weeks we've seen the culture shift dramatically." 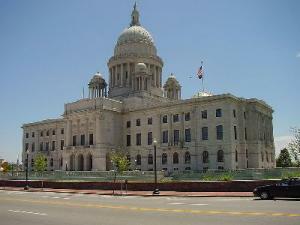 Legislators in Vermont and Massachusetts have also signaled they will be filing marijuana legalization bills next year. The legislative process is frustratingly slow, often taking several years to get a measure through, but in the wake of the Colorado and Washington votes, we could see a sudden collapse in support for pot prohibition, even at the state house. In the wake of this month's vote in Colorado to legalize marijuana, which won with 55% of the vote, a bipartisan group from the state's congressional delegation is stepping up in support of the voters' choice. Last Thursday, three Colorado members of the House (as well as 15 other representatives) sent a letter to Attorney General Eric Holder asking him to respect the state's new marijuana law. The following day, one of the same members of the Colorado delegation filed a bill that would ensure that the federal government does not override the vote in Colorado and in Washington, where a similar measure also passed. The Obama administration should "take no action against anyone who acts in compliance with the laws of Colorado, Washington and any other states that choose to regulate access to marijuana," the letter penned by Rep. Jared Polis (D-CO) said. "The voters of these states chose, by a substantial margin, to forge a new and effective policy with respect to marijuana. The tide of public opinion is changing, both at the ballot box and in state legislatures across the country. We believe that the collective judgment of voters and state lawmakers must be respected." Urging the administration to have a light touch is one thing; legislation requiring it to do so is another, and that's what Rep. Diana DeGette (D-CO) has introduced. Her bill, the Respect States' and Citizens' Rights Act, filed with bipartisan support, would exempt states that have passed marijuana legalization from the marijuana provisions of the federal Controlled Substances Act. "Today I am proud to join with colleagues from both sides of the aisle on the 'Respect States' and Citizens' Rights Act' to protect states' rights and immediately resolve any conflict with the federal government. In Colorado we've witnessed the aggressive policies of the federal government in their treatment of legal medicinal marijuana providers. My constituents have spoken, and I don't want the federal government denying money to Colorado or taking other punitive steps that would undermine the will of our citizens," DeGette, of Denver, said in a statement. "I strongly oppose the legalization of marijuana, but I also have an obligation to respect the will of the voters given the passage of this initiative, and so I feel obligated to support this legislation," said Rep. Mike Coffman (R-CO). The bill has support from outside of Colorado and Washington, too. "Residents of Colorado and Washington have made it clear that the public is ahead of the federal government in terms of marijuana legalization," said Rep. Earl Blumenauer (D-OR). "It’s time for Congress to pass legislation -- such as the 'Respect States' and Citizens' Rights Act' -- that allows states to implement their own laws in this area without fear of federal interference." "All across the country, states are choosing to reform their marijuana laws. As Justice Brandeis observed, states are the 'laboratories of democracy' and they should be given the opportunity to go forward with this social experiment," said Rep. Steve Cohen (D-TN). "I'm proud to cosponsor this important bill, which will ensure that the federal government respects the people's judgment." Tuesday morning, former Baltimore narcotics officer Neill Franklin delivered a letter signed by 73 current and former police officers, judges, prosecutors, and federal agents to Attorney General Eric Holder at the Justice Department in downtown Washington , DC, urging him not to ignore the wishes of voters in Colorado and Washington state who voted to legalize, tax, and regulate marijuana. Franklin is the executive director of Law Enforcement Against Prohibition (LEAP), which supported Amendment 64 in Colorado and Initiative 502 in Washington. Both measures won with 55% of the vote in this month's elections. "As fellow law enforcement and criminal justice professionals we respectfully call upon you to respect and abide by the democratically enacted laws to regulate marijuana in Colorado and Washington," the letter said. "This is not a challenge to you, but an invitation -- an invitation to help return our profession to the principles that made us enter law enforcement in the first place." The Obama administration's response to the legalization votes could help define its place in the history books, LEAP warned. "One day the decision you are about to make about whether or not to respect the people's will may well come to be the one for which you are known. The war on marijuana has contributed to tens of thousands of deaths both here and south of the border, it has empowered and expanded criminal networks and it has destroyed the mutual feeling of respect once enjoyed between citizens and police. It has not, however, reduced the supply or the demand of the drug and has only served to further alienate -- through arrest and imprisonment -- those who consume it," the letter said. "At every crucial moment in history, there comes a time when those who derive their power from the public trust forge a new path by disavowing their expected function in the name of the greater good. This is your moment. As fellow officers who have seen the destruction the war on marijuana has wrought on our communities, on our police forces, on our lives, we hope that you will join us in seeking a better world," the letter concluded. The LEAP letter is only the latest manifestation of efforts by legalization supporters to persuade the federal government to stand back and not interfere with state-level attempts to craft schemes to tax and regulate marijuana commerce. Members of the Colorado congressional delegation have introduced legislation that would give the states freedom to act, while other members of Congress, notably Reps. Barney Frank (D-MA) and Ron Paul (R-TX), have called on the Obama administration to "respect the wishes of voters in Colorado and Washington." Frank and Paul are cosponsors of a pending federal legalization bill. "We have sponsored legislation at the federal level to remove criminal penalties for the use of marijuana because of our belief in individual freedom," Frank and Paul wrote in a letter to President Obama last week. "We recognize that this has not yet become national policy, but we believe there are many strong reasons for your administration to allow the states of Colorado and Washington to set the policies they believe appropriate in this regard, without the federal government overriding the choices made by the voters of these states." "We seem to be at a turning point in how our society deals with marijuana," said Franklin Tuesday. "The war on marijuana has funded the expansion of drug cartels, it has destroyed community-police relations and it has fostered teenage use by creating an unregulated market where anyone has easy access. Prohibition has failed. Pretty much everyone knows it, especially those of us who dedicated our lives to enforcing it. The election results show that the people are ready to try something different. The opportunity clearly exists for President Obama and Attorney General Holder to do the right thing and respect the will of the voters." "During his first term, President Obama really disappointed those of us who hoped he might follow through on his campaign pledges to respect state medical marijuana laws," continued Franklin. "Still, I'm hopeful that in his second term he'll realize the political opportunity that exists to do the right thing. Polls show 80% support for medical marijuana, and in Colorado marijuana legalization got more votes than the president did in this most recent election." "From a public safety perspective, it's crucial that the Obama administration let Colorado and Washington fully implement the marijuana regulation laws that voters approved on Election Day," added LEAP member Tony Ryan, a retired 36-year Denver Police veteran. "There's nothing the federal government can do to force these states to arrest people for marijuana possession, but if it tries and succeeds in stopping the states from regulating and taxing marijuana sales, cartels and gangs will continue to make money selling marijuana to people on the illegal market. Plus, the states won't be able to take in any new tax revenue to fund schools." At a Tuesday noon press conference, Franklin and other LEAP members hammered home the point. "LEAP members have spent the majority of their careers on the front line of the war on drugs and have seen the failure of prohibition," he said. "We call now to end prohibition and embrace a new drug policy based on science, facts, and the medical field." Former Seattle police chief Norm Stamper told the press conference the war on marijuana was essentially a war on youth, especially minority youth, that sours police-community relations. "I have come to believe that the war on marijuana has made enemies of many law-abiding Americans, especially many young, black, Latino, and poor Americans," Stamper said. "The law and the mass incarceration behind it have set up a real barrier between police and the community, particularly ethnic communities." Legalization and regulation will help change that negative dynamic, Stamper said. "This frees up police to concentrate on violent, predatory crimes, those crimes that really scare people, drive property values down, and diminish the quality of our lives," he said. "We're convinced that by working with the community, including those victimized by these laws, we can build an authentic partnership between police and the community and create true community policing, which demands respect for local law enforcement. By legalizing we have a chance to significantly reduce race and class discrimination. Watch what we do, we will use these states as a laboratory, and the sky will not fall." "I joined this movement when I was made aware the war on drugs was a war on our community," said Alice Huffman, president of the California NAACP. "Instead of being protected, we were being targeted. We don't feel like the police are protecting us; instead, they have declared war on our young men and women. The amount of resources being used in this war to divide the community is why we have so many incidents between law enforcement and our community. We know that come Friday and Saturday night there will be a ring of law enforcement personnel ringing our community looking to make those low-level drug arrests." "I believe the regulation and legalization of marijuana is not only long overdue, but will make our communities safer," Huffman continued. "I am very hopeful that our president, who has some experience of his own with marijuana use, which didn't prevent him from becoming a strong leader, will see the light and get rid of these approaches that do nothing but condemn our people to a life of crime because they have felonies and are no longer employable. Instead of treating them like criminals, maybe we can treat them like people with health problems." The Obama administration has yet to respond substantively to this month's victories for marijuana legalization. Nothing it says or does will stop marijuana from becoming legal to possess (and to grow in Colorado) by next month in Washington and by early January at the latest in Colorado, but it could attempt to block state-level attempts to tax and regulate commercial cultivation and distribution, and it has some months to decide whether to do so. Tuesday's letter and press conference were part of the ongoing effort to influence the administration to, as Franklin put it, "do the right thing." A deputy from Mexico's left-leaning Democratic Revolutionary Party (PRD) last Thursday introduced a bill (not yet posted) to legalize the use, cultivation, and sale of marijuana. The bill's chances of passage are slim, but in the wake of the successful marijuana legalization votes in Colorado and Washington, it will likely become a venue for further criticism of drug prohibition policies on both sides of the border. "The prohibitionist paradigm is a complete failure," said Fernando Belaunzaran, who represents a Mexico City district for the PRD. "All this has done is spur more violence, the business continues. The country that has paid the highest cost is Mexico," he told Reuters last Thursday. 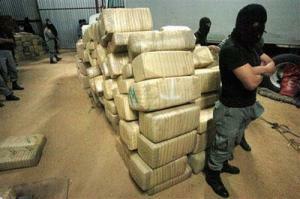 Mexico decriminalized the possession of small amounts of drugs, including marijuana, in 2009. But while that move arguably improved the situation of drug users there, it has done nothing to reduce the prohibition-related violence that has cost the country at least 60,000 lives since President Felipe Calderon took office in December 2006. Mexico has repeatedly demanded that the US do more to curb drug consumption at home, which it charges is driving the drug trade there. The frustration with US policy has only increased since last week's victories for Amendment 64 in Colorado and Initiative 502 in Washington. Earlier last week, President Calderon joined with Central American heads of state to issue a declaration calling for a review of international drug policies, while a week earlier, a chief advisor to incoming President Enrique Pena Nieto, Luis Videgaray, said the legalization votes meant Mexico must reconsider its approach to the drug trade. Also last week, the governor of Chihuahua, Cesar Duarte, suggested that Mexico should legalize marijuana exports to the US. While discontent with US drug policies is growing in Mexico, support for marijuana legalization remains weak. The bill's fate is also dim because the PRD and associated leftist parties constitute only the second largest bloc in the Congress, behind Pena Nieto's Institutional Revolutionary Party (PRI). Still, marijuana legalization will be on the congressional agenda in Mexico next year. The president of the International Narcotics Control Board (INCB) last Thursday voiced "grave concern" about the votes legalizing marijuana in the US states of Colorado and Washington, as well as in the Michigan cities of Detroit and Flint. 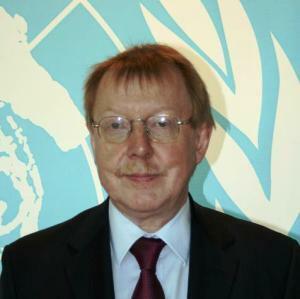 INCB head Raymond Yans also warned that allowing for the legal, non-medical sale of marijuana would violate the 1961 UN Single Convention on Narcotic Drugs. The INCB is a quasi-judicial body charged with monitoring compliance with the Single Convention and associated treaties. It hectors governments that step outside its interpretation of what the treaties allow, although in practical terms, its ability to enforce its will is mainly rhetorical. INCB criticism of Australia and Canada over the establishment of safe injection sites, for example, has not moved those governments to end the practice, nor has its criticism of Bolivia over allowing coca cultivation resulted in a shift of policy in Bolivia. Yans was inspired to speak out by the victories of Amendment 64 in Colorado and Initiative 502 in Washington state, both of which envisage legal, state-regulated commercial marijuana cultivation and distribution regimes and both of which will result in the possession of small amounts by adults being legal by early next year. The INCB also alluded to the votes in the Michigan cities of Detroit and Flint to legalize the possession of up to an ounce by adults on private property. "These developments are in violation of the international drug control treaties, and pose a great threat to public health and the well-being of society far beyond those states," Yans said in a statement. "Legalization of cannabis within these states would send wrong and confusing signals to youth and society in general, giving the false impression that drug abuse might be considered normal and even, most disturbingly, safe. Such a development could result in the expansion of drug abuse, especially among young people, and we must remember that all young people have a right to be protected from drug abuse and drug dependency." This isn't your father's marijuana, Yans warned. "Since the adoption of this Convention, very potent new forms of cannabis have appeared on the illicit market, and technological advances have been used to increase the content of the most 'active ingredient,' so to speak, in cannabis, tetrahydrocannabinol (THC). The cannabis on the illicit market today is much more dangerous than that seen in the 60s and 70s," Yans said. Yans also noted that "for the international drug control system to function effectively, to achieve its aim of ensuring availability of drugs for medical purposes while preventing their abuse, the conventions must be universally adhered to and implemented by all states." He called on the US government "to take the necessary measures to ensure full compliance with the international drug control treaties within the entire territory of the United States, in order to protect the health and well-being of its citizens." A Uruguayan bill that would create a system of state-licensed marijuana sales and commercial cultivation was presented to Congress last Wednesday, and, according to Reuters, includes a provision that will allow Uruguayans to grow their own at home or in clubs. The use and possession of small amounts of marijuana is already legal in Uruguay, but President Jose Mujica, a former leftist guerrilla leader, has said he wants to see the measure passed in a bid to undermine drug-smuggling gangs and other criminality in a region buffeted by prohibition-related violence. Unlike earlier news reports, which spoke of a state monopoly on marijuana cultivation and sales, the bill introduced Wednesday says only that the government will manage and regulate commercial cultivation and sales. Whether it will actually open state-run pot farms or marijuana retail outlets is yet to be decided, but in either case, a National Cannabis Institute will be in charge. "The idea is to grant licenses for production, distribution, storage and for retail. We haven't said whether that will be done by the private or public sector, the government will decide that," Sebastian Sabini, a ruling party lawmaker who heads a congressional committee on drugs and addiction, told Reuters. Under the pending legislation, each household could grow up to six plants or possess up to 480 grams, or slightly more than a pound. People could also join "smoking clubs" with up to 15 members and grow six plants per member, up to an annual production of 15.8 pounds. Marijuana users who wanted to buy through state-operated or -- regulated facilities would be limited to purchasing 40 grams (just under 1 ½ ounces) per month. Because Uruguay is a parliamentary democracy and because Mujica and his political allies control both houses of Congress, the bill is expected to be approved sometime next year. Two polls released last week show support for marijuana legalization hovering just under the 50% mark, with the American public split almost evenly on the issue. Both polls showed that support for marijuana legalization continues to trend upward. A Rasmussen Reports poll released Monday had 45% in support, 45% opposed, and 10% undecided, while a Washington Post/ABC News poll released Wednesday had 48% in support, 50% opposed, and 2% undecided. The support figure in the latter poll rose one point to 49% when only registered voters were polled. The polls come a week after two US states passed initiatives legalizing marijuana. Amendment 64 in Colorado and Initiative 502 in Washington both won with 55% of the vote. National polls have consistently show higher support for legalization in the West than in other regions of the country. The Rasmussen poll showed support for legalization up five points since the firm last asked the question in 2009. It also found that 60% of respondents thought marijuana legalization was best left to the states, with only 27% saying the federal government should decide. And it found that fewer than out of ten (7%) think the US is "winning" the war on drugs, with 83% don't. Both polls showed plurality support for marijuana legalization among all age groups except seniors. And both polls showed that the gender gap remains intact. Support for legalization was higher among men than women by 12 points in the Rasmussen poll and nine points in the Washington Post/ABC News poll. The Rasmussen poll surveyed 1,000 adults nationwide on November 9 and 10 and has a margin of error of +/-3%. The Washington Post/ABC News poll surveyed 1,023 adults nationwide between November 7 and 11 and has a margin of error of +/-3.5%. Gov. 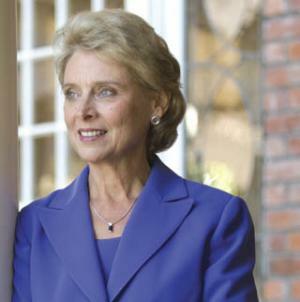 Chris Gregoire (D) met Tuesday with Deputy Attorney General James Cole to discuss her state's passage last week of an initiative that legalizes and taxes the sale of marijuana for adults 21 and over. Federal law continues to consider marijuana possession, cultivation, and distribution to be criminal offenses. Gregoire spokesman Cory Curtis told the Associated Press Monday that Gregoire had added the meeting to a previously scheduled trip to Washington, DC, to seek clarity from the Justice Department. "We want direction from them," said Curtis. "Our goal is to respect the will of the voters, but give us some clarity." They didn't get it Tuesday. Gregoire told the Associated Press the Justice Department had yet to make a decision on whether it would move to block the laws in Washington and Colorado. They needed to make a decision "sooner rather than later," she said. "I told them, 'Make no mistake, that absent an injunction of some sort, it's our intent to implement decriminalization,'" Gregoire said. "I don't want to spend a lot of money implementing this if you are going to attempt to block it." Under I-502, possession of up to an ounce of marijuana is legal beginning December 6, but the state has a year to come up with rules for a state-licensed cultivation, processing, and distribution scheme. 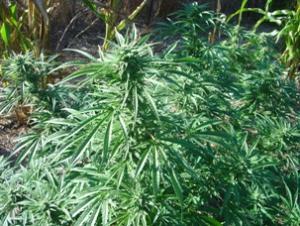 Home grows remain illegal, except for medical marijuana patients. 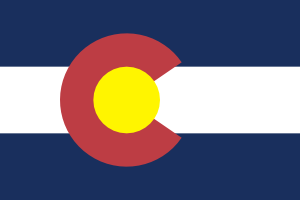 Colorado also passed a legalization measure last week, Amendment 80. The state governor and attorney general spoke by phone with Attorney General Eric Holder last Friday, but got no clear indications of what the Justice Department will do. Colorado also passed a measure legalizing the drug. Colorado's governor and attorney general spoke by phone Friday with US Attorney General Eric Holder, with no signal whether the US Justice Department would sue to block the marijuana measure. Possession of up to an ounce and cultivation of up to six plants will be legal in Colorado by January 5 at the latest. That's the last day for the governor to add the amendment to the state constitution. Colorado legislators have about a year to write rules for state-regulated commercial cultivation, processing, and sales. In both states, state officials worry that the federal government will sue to block them from implementing regulations.